Guess what? 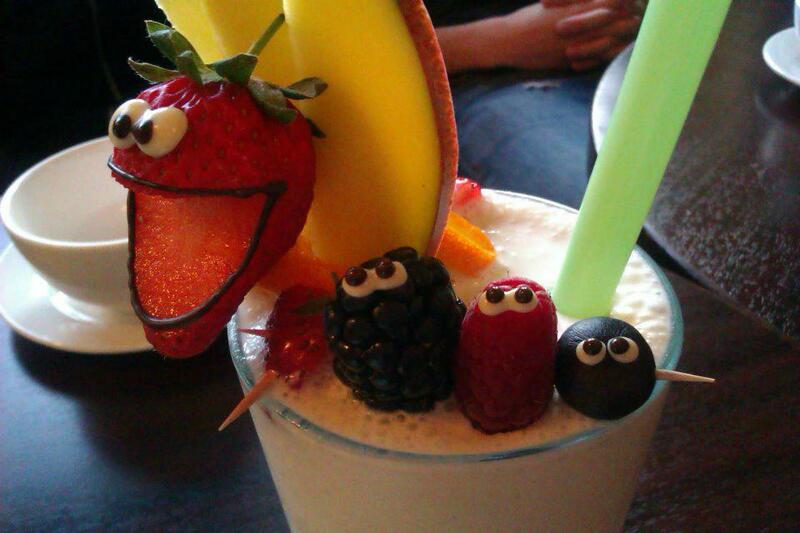 Scientists and health professionals say fruit is good for you! Duh! My Mom knew that. I know that and even my kids know that. 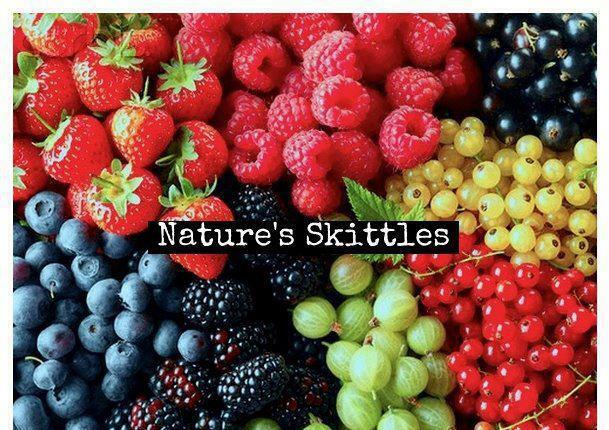 I also know that skittles are not fruit but fruit-flavoured sugar nuggets. Damn! So, are you one of those people that loves fruit and will eat it all the time and in any way, shape or form? Not me. I don’t even like bananas. I tell people, “No thanks, I choke on the seeds.” Have you ever seen a banana seed? They’re huge. I like most apples, berries, nectarines (peach fuzz gives me goose bumps), mangos (I really like mangos), some plums (I don’t like prune plums but I like prunes, go figure) and most grapes. I’m not big on oranges or grapefruits except…mandarines and Buck Brand Ruby Reds, mmmmmm. I don’t like the white pith (it pithes me off) and I hate getting the peel under my fingernails. I love limes especially in my drinks. And lemons make everything taste better. Melons are cool, literally, watermelons, cantaloupes, honeydews and those specialty ones that show up at farmers’ markets like the Santa melon. I’m not big on speciality fruits like starfruit (which tastes like cardboard), dragon fruit (seedy buggers), or durian (OMG gross). But we need fruit and lots of it. Fresh is always best but dried, canned and frozen aren’t too bad. A smoothie made with yogurt and frozen blueberries, blackberries and strawberries is an amazing breakfast. Mango on the spinach salad is mouth-watering. And nothing beats a homemade fruit salad. Heck, I think that cottage cheese mixed with pineapple will even meet my fruit and protein requirement to start the day. So, if we need 7-9 servings of fruit (and vegetables) a day, I can do it. I know we have to watch the added sugars and serving size but there is so much to choose from so I can have a glass of juice (4 oz is a serving) a handful of blueberries and a granny smith apple and I’m good. Heck, I can even have one of these popsicles. Cut the watermelon into chunks and then puree it in a blender until smooth. Set aside.Set out about 1 dozen popsicle molds (amount needed will vary depending on size of molds). Fill each one with the chopped fresh fruit. Then pour in the watermelon puree until each mold is full to the top. 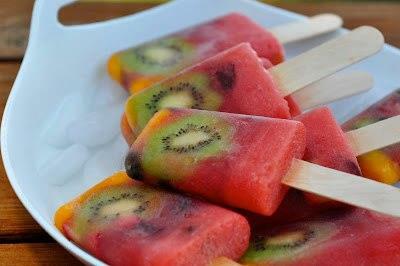 Place a popsicle stick into each one. Place into your freezer and freeze for about 6 to 8 hours. ~ by 1fatgirlshrinking - Diane Kirby on April 28, 2013.